Clifford Alfred Noble was born on 17 November 1918 at Redfern, the son of former MLA for Redfern George WH Noble and his wife Hannah née Gray. In 1943 at Newtown, Sydney, he married Rayworth Dando. He died on 9 October 2004, aged 85, survived by his wife Ray. After a ceremony at the Church of Our Lady of Perpetual Succour at Erskineville, he was buried at Woronora Cemetery, Sutherland. Clifford Noble was educated by the Patrician Brothers, Redfern. He played First Grade Rugby League and represented the District of Newtown in 1937 and from 1940 to 1943. In 1942, he played for South Sydney. He was a long term resident of Alexandria and a life member of the Labor Party. Noble was patron of the Boy Scouts Movement (Alexandria Troop), the Alexandria Parents and Citizens Association and Alexandria Junior Rugby League. He was vice chairman of the Finance Committee and Director of South Sydney Hospital. In 1964 he was vice-chairman of the Lord Mayor’s Tivoli Command Performance. The Alexandria Aged Activity Centre was renamed the Cliff Noble Activity Centre in honour of his contribution to the South Sydney community. Cliff Noble was Alderman for Northcott Ward, 5 December 1959 to 3 December 1965. He was a member of the Works Committee, 1960-61, the Health and Recreations Committee, 1960-62, the City Planning and Improvements Committee, 1963-65, the Finance Committee, 1963-65 and its Vice-Chairman in 1963. 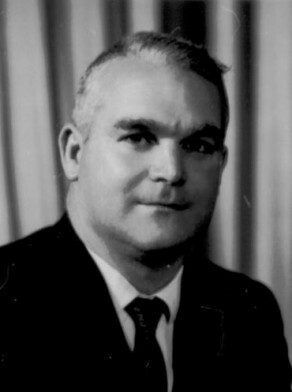 Noble was Deputy Lord Mayor in 1964. He was appointed a member of the Milk Board in 1961.